Windows are on everything and everywhere you look, from retail storefronts and office buildings, to all vehicle types and sizes. 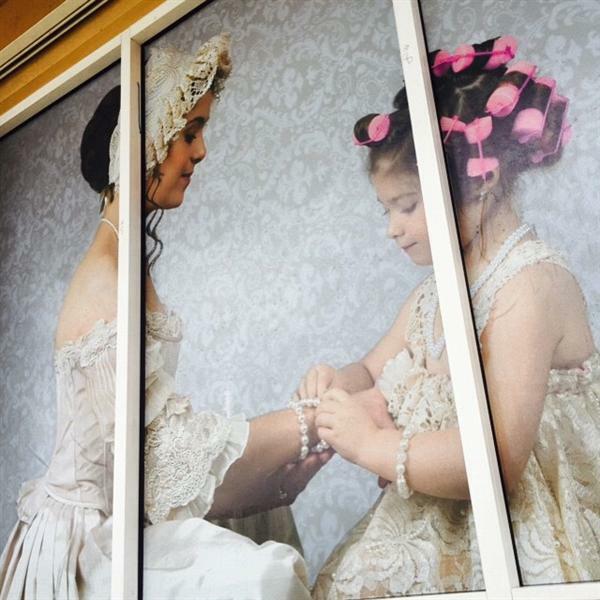 Apply micro-perforated adhesive vinyl material to the outside of any window to advertise your product. One Way Vision Signs are like tinted windows, constructed of perforated materials that allow one-way vision. 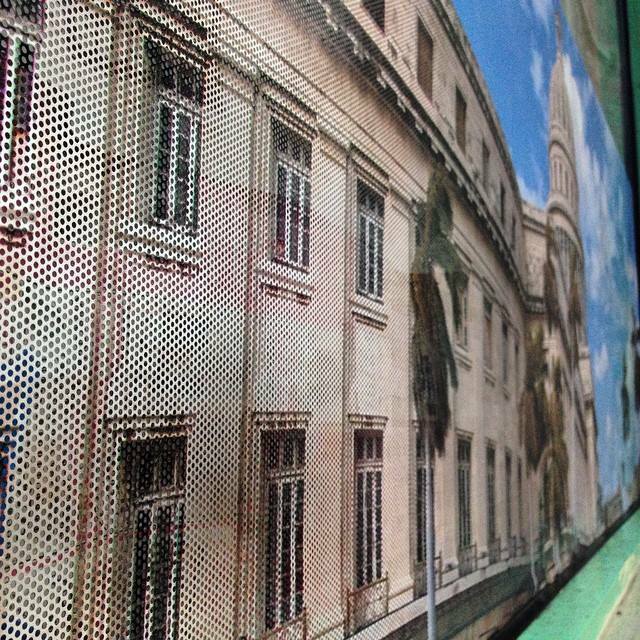 The heavy hi-tech perforated vinyl film is durable and long-lasting for use on any smooth glass surface. IN MOTION Studio Design micro-perforated vinyl is made of a Self-adhesive PVC vinyl substrate. It's widely used in Car Body Graphic, Glass Wall Graphic. With the anti-tactility PVC-coated material, one way vision film optimizes ink adhesion and color reproduction for long-lasting brilliant prints. Its good capability of anti-tactility prevents it from distortion and rupture. It allows stunning graphics on one side and clear, unobstructed view through the glass on the other. It can keep a transmittance at 60% also a colorful expression of picture. Are you looking for a little privacy? The one-way vision signs are ideal for offering you the privacy you need while displaying your choice of designs on the other side. Do you need help designing your one-way vision sign? No problem: Let it to www.inmotionsd.com tell us what you want and our professional design team will take it from there! When you’re satisfied with the design, we will print it and then ship it to your business or home. • The special material surface made, easy to absorb ink and the graphics are brilliant. 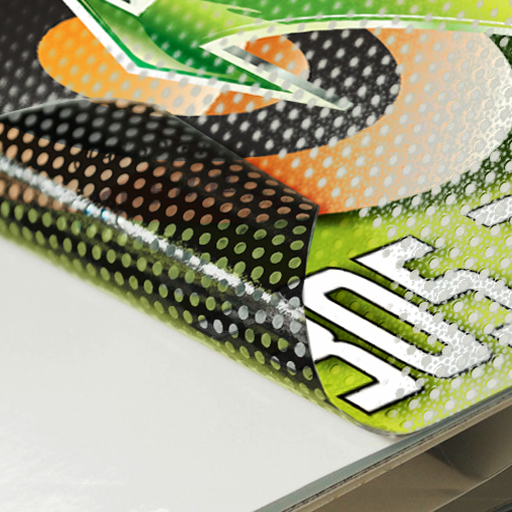 • The liner is no perforated for easy loading in wide range printers. • Between 15 to 35 temperature range, the adhesive can be one year removability with no adhesive; Residue and it will be not fall off. • Great for vehicle advertisements on cars, buses, train, tram, etc. • Ideal for window advertisements on buildings, offices and shops etc. • Excellent resistance to a wide range of physical and climatic conditions. • Suitable for application onto transparent glass, acrylic, polycarbonate. • Widely used in retail outlets, POP displays, service stations, convenience stores, etc. It consists of 2 foils heat sealed together. The first foil, the front side, is white and printable. The second foil, the backside is black. The black side is covered with a removable adhesive layer allowing the product to be posted on a window. The double foil is perforated. 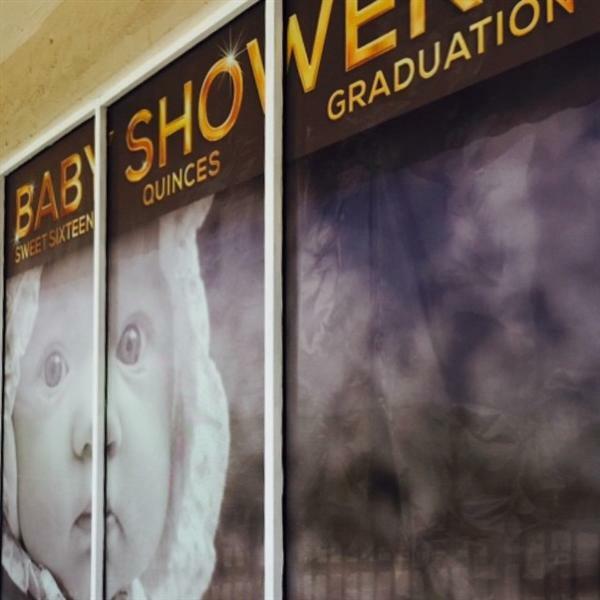 The initial goal of this product is to use your window as the carrier of your publicity message on the outside while you can still see from inside to outside.